It was during the design of the first version that another game was designed that was to have a huge impact. Silas Warner had asked to take a look at the Spasim code, and within two weeks had modified it in to the first 3D airplane/flight simulator known as Airace (short for Air Race). Showing a 3D cockpit view of the horizon and other players as you raced, the game became an even bigger hit than Spasim. Silas however, was to unknowingly spawn an entire industry with his program. By late '74/early '75 a PLATO programmer by the name of Kevin Gorey had been inspired by Silas' code, and decided to write a similar game that allowed you to fight in the fashion of the 2D game Dogfight. The game Airfight was born, a 3-D real-time flight simulator with 3-D views of horizon & airport & enemy. It was this game that University of Illinois student (and amateur pilot) Bruce Artwick saw, and inspired him with his thesis on "A versatile computer-generated dynamic flight display". Part of the thesis had been to write a similar flight simulator on a 6800 based microcomputer - the first such microcomputer based simulator. Airfight proved it was not only possible to model such a thing on a dedicated system, but also gave him graphical direction. By 1978, he and several others from the U of I had formed a company called SubLOGIC. After releasing several graphics programs without much fanfare, Bruce released a 6502 based version of his flight simulator, aptly title Flight Simulator. After licensing agreements with a Redmond based company in the early 80's, Bruce's program continues to be refined and updated to this day. You may know it better as Microsoft Flight Simulator. By the mid to late 1970's even the dungeon exploration games got a more 1st person, 3d treatment on the PLATO system. 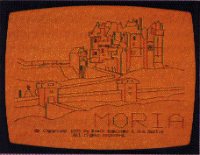 The first of which was Mines of Moria, written by Chuck Miller and several others. Based on the Tolkien (Lord of the Rings) location of the same name, multiple players could band together as teams (or you could stay on your own) and go exploring through 248 different mazes. Each room was composed of a detailed line drawing view of the scene ahead of you, including monsters, doors and corridor walls, along with status charts for your character's current strength and powers. The original Dungeons And Dragons, released in 1974. From there came a game by the name of Oubliette (the French word for Dungeon). Started on in the Spring of 1977 by Jim Schwaiger, the first version was released on PLATO on November 18, 1977. Oubliette was more directly influenced by the role-playing game Dungeons and Dragons, which had been officially released in 1974. Following D&D, you would create a character and had the ability to save them so they could be built up over time. The game even uses the same attributes (strength, intelligence, wisdom, charisma, constitution, dexterity, hits, age, and experience), races (Dwarf, Elf, Gnoll, Hobbit, Human, Kobold, Ogre, and Orc), and classes (Peasant, Hirebrand, Mage, Paladin, Priest, Ranger, Sage, and Thief) as D&D. The first Wizardry, on the Apple II. With the same line drawn, first persons view as Moria, the game was something to behold. Added to the normal movement and fighting commands were also the ability to cast spells, which had to be typed in a specially created language (by David Emigh) called Varget. The game was an even bigger success than Moria on PLATO, and later moved to personal computers during the 1980's though you may have heard of it under a different name - Wizardry. Wizardry programmers Andy Greenberg and Robert Woodhead were both users of PLATO in the late 70's and were inspired to try and create a single player version of Oubliette on the Apple II. In late 1978, some students (I was not able to obtain their names, feel free to email them to me if you know) began work on a game that was being called "The Oubliette Buster". The first versions was released in late 1979, and the entire project took a full 3 to 4 years to fully develop. What they wound up creating was the most successful game ever on PLATO, and a multi-player dungeon game that many still strive to excel to in features and standards. That game was Avatar. The students pulled out all the stop on it by using Oubliette as a starting point, not simply as a level to beat. It can best be described as a fully graphical D&D based MUD (Multi User Dungeon) system. The dungeon consisted of 15 square levels 30x30 each. Inter-player communication and interaction is fully supported, including the exchange of items and gold. They stocked the dungeons with an even larger array of magic items, monsters, and spells that to be cast, outdoing Oubliette in sheer variety and volume. The game also automatically repopulates it's monsters every 15 minutes. A feature common in modern MUD's, playersu can be 'quested' for a monster or item, which means that you are required to defeat that monster or find that item to raise your character to another level. Like Oubliette, you can also run in groups or individually. They also added a resurrection feature where dead players can be carried back up to the morgue, where a fee could then be paid for a raise (loss of constitution stat). As in D&D, certain classes of characters can cast resurrection spells as well. To be sure, PLATO was on the forefront of computer gaming technology in the 1970's. However, due to the very nature of it's purpose and design, it was also on the forefront of a lot of other areas. Some of the most gifted programmers on PLATO were actually children, which was able to occur because PLATO was an educational system. One of the most important was a 16 year old by the name of David Wooley. David came to the labs in 1972 as a 16 year old university student and junior system programmer. After wetting his hands for a year, he was given a project by TUTOR creator Paul Tenczar (who was also the head of the system software staff at this time). Paul wanted David to write a program that would allow multiple people to report bugs online at one time. The current method was to write to a common file called NOTES, that anyone could write to but only one at a time. This also meant the file was not protected and could be deleted by anyone, and there was no way of recording who added what to the file either. Paul wanted David to write an actual program that would automatically tag an entry with the date and the user's ID and store it safely in a tamper-proof file. The same program would allow convenient viewing of the stored notes. Each entry would appear on a split screen, with the user's note on the top half and the system staff's response below. When it was released on August 7th, 1973, PLATO Notes became the first graphical conference system of it's kind. Features that would not again be seen until the world wide web sprang in to action, and web based conferences sprung up (such as our own star based Forums). As PLATO was expanding to it's newer 1000 user system throughout 1973, Notes became an indispensable part of it. The PLATO community was growing by leaps and bounds and, David soon became involved in another important project. 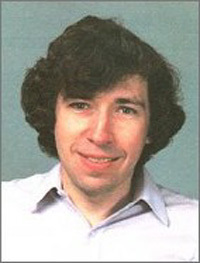 That fall, Doug Brown had written a simple prototype chat program that allowed multiple users to talk together at once. What set this program apart from the others that came before, was that it allowed all parties involved to see what each other was writing as they typed. Previous chat programs were small 2 person programs that would only display after a complete line of text was typed. Doug's program divided the PLATO terminal screen in to several horizontal windows (a format copied by the UNIX based Talk program years later). This allowed each person's text to displayed in their own section of the screen and allowed for everyone to be typing at once. The program was named Talkomatic. David came in and helped add support for multiple channels (chat screens) and other features. Each channel supported up to five active participants and any number of monitors, who could watch but couldn't type anything. Empty channels were open to anyone, but any active participant in a channel could choose to "protect" it. This prevented anyone from monitoring the channel, and the participants could then decide who else to admit. If this all sounds familiar, it's probably because these features now common to what everyone knows as IRC (Internet Relay Chat). Features being invented a full 15 years before IRC in fact. The funny thing is that while Talkomatic was the most popular chat program on PLATO, it was not officially supported. So, they had to create an official version called Term-Talk that supported 2 people (which more closely resembled the previously mentioned UNIX Talk program). Notes itself continued to evolve under the care of David and others. Next up was Personal Notes, which allowed you to forward Notes files to other users or even write personal Notes to them. Entering the Personal Notes program took you to the first Note you had not read, and allowed you to move backwards or forwards from there. Sound familiar? These were features that are now common in email programs today, but were still way off for the Internet at that time (then still in it's primordial Arpanet stage). The Notes system began overcrowding, and needed an overhaul by 1975. David came up with the idea of adding categorizing to Notes, which provided a short term solution. However, because all the Notes were still stored in single files, there was a 60 category limit. About this time, a few people began to ask for private notesfiles. We had all seen how useful Notes was for discussing development of PLATO itself. Couldn't the concept be extended to allow any small group of people working on a project to communicate among themselves? In fact, a group in Chicago that was using PLATO to develop pharmaceutical courseware wrote a clone of Notes for their own use. Suddenly the future clicked into focus. I abandoned the categories project and began to implement Group Notes. And thus was born Group Notes. There could now be an unlimited number of notes files, and users would be able to create private work group files. By distributing notes across many files, he solved the technical problems of dealing with large volumes of information. The 60-category limit thusly vanished. The burden of managing notes files would be distributed, as well; no longer would the system staff have to oversee everything. Notes would also now be organized by subject, as so many people had insisted. Released in January, 1976, use of this new version of Notes exploded. Soon there were public notes files for subjects like books, movies, religion, music, and science fiction, as well as many private notes files for work groups. Does this all sound familiar as well? That's because this was the precursor to the Usenet and it's many newsgroups. The PLATO system had given rise to a network community, and foreshadowed what was to happen with the Internet of today. Email, chats, games, etc. provided a powerful lure for people to simply hang out and spend all their time on the system. A 9pm curfew was eventually instituted for all users under the age of 16 at Urbana, after a group of local high school students would block senior users from signing on, so they could use PLATO for it's games. The Control Data Corporation mainframe based PLATO IV system. Control Data, the company whose mainframe the Plato IV system was based around, bought the rights to market the PLATO system in 1975. By 1978, they began selling them. Unfortunately PLATO was used as a "carrot for their mainframes" as David describes it, to get more people to buy their mainframes. They managed to sell a 100 PLATO systems by 1985, and even managed to sell PLATO access to the personal computer market of the 1980's. And PLATO systems did take root all over the world. However, CDC's PLATO support eventually dwindled by the late 1980's (as did CDC itself) because of the advancement of personal computer based technology. The name was eventually sold off, and now resides with the Minneapolis based PLATO Learning, Inc.. However, this updated system has little to do with the original PLATO. CDC continues to market systems based on the original PLATO software under the CYBIS name. The original Urbana based PLATO system as well, while it continued to grow and enjoy strong support during the 80's, was loosing it's edge as mainframe technology became obsolete. In the early 90's, the mainframe based PLATO system at Urbana was gutted and replaced. The old technology abandoned in favor of more personal computer orientated technology. It was renamed NovaNet and is now run by NCS Learn out of Mesa, Arizona. While the original PLATO network is no more, it's contributions live on in the games of today as well as the many applications it inspired such as Lotus Notes, Notesfiles, the tin newsreader, TenCORE, and Macromedia's Authorware. For the many devoted users of PLATO over the years though, it's a sad and bittersweet ending. "I was given a tour of the Chemistry Learning Center today, to a room where there had been PLATO terminals. The cable for the terminals was literally hanging from the wall, the terminals have been replaced by IBM PCs, and the students were using the Web. With PLATO, if you asked a question, you got an answer back in less than a second. If you ask a question on the Web, it can take as long as 15 or 20 seconds to get your answer, while the Net clunks away. The students were falling asleep. I asked myself, 'Is this progress?'"